Managing large projects, numerous departments, and uncountable numbers of staff can be extremely challenging. Luckily, there are numerous project management tools available, enabling you to easily communicate with all those involved, effectively manage correspondence in a centralized dashboard, and ensure projects make good progress. Whether you are a global company, or a small business, managing a team and a project can be difficult. Powerful project management software can help you monitor the progress of all projects, improve team collaboration, and greatly impact on long-term performance across a project. Trello is an extremely flexible and easy to use project management tool. 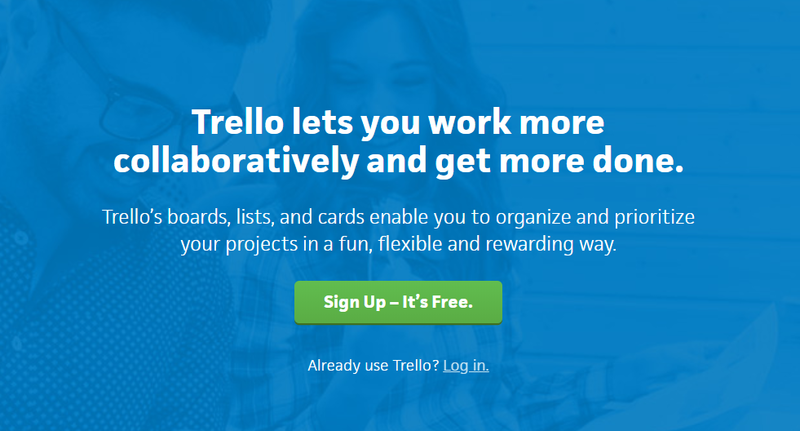 Created in 2011 by Fog Creek Software, Trello was acquired in early 2017 by Atlassian. By September 2017, Trello surpassed 25 million signups. Trello is based on a visual card structure, which allows users to create tasks and move them between lists, showing the progression of each individual task from start to finish. Due to its ease of use, Trello is a great tool for a wide assortment of projects and situations, from trying to arrange a family vacation, to managing million pound projects. Ease of Use – Trello is extremely easy to use, enabling you to visually ascertain how each task of a project is progressing. Works Across All Devices – Trello stays in sync across all devices. Download apps for iPhones, iPads, Android phones, tablets, watches, and Kindle Fire tablets. You can also access Trello on the web on any screen size. Works in Real Time – As people move cards across a board you will see it in real time. You can keep your tab open all day and never have to refresh it. 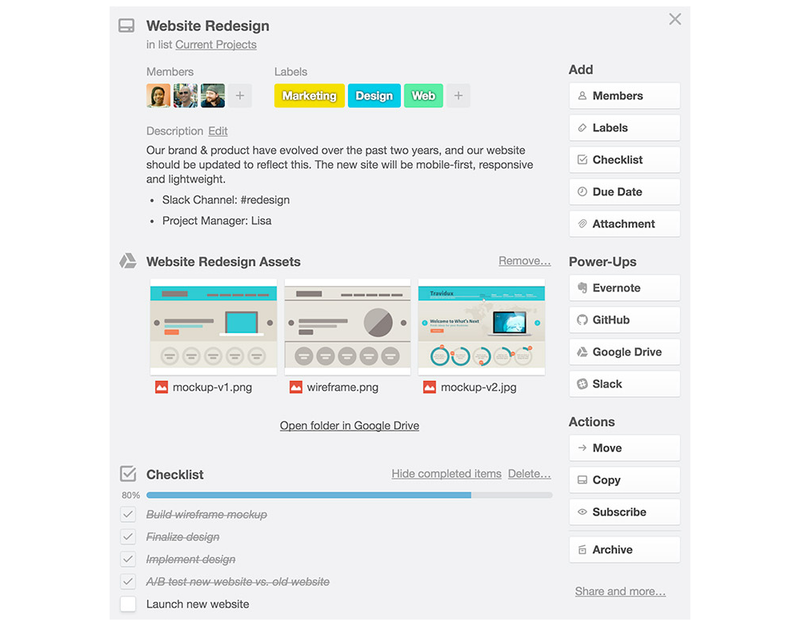 Collaboration – Trello promotes collaboration via its boards, teams, and cards. Discuss tasks via comments, create useful checklists and task due dates, tag members into discussions, upload important information your colleagues might need, and much more. Notifications – Trello sends notifications every time something relevant to you happens. Receive push notifications on your desktop or mobile, or view messages inside the app or via email, ensuring you don’t miss a thing. Integrations – Trello integrations, known as ‘power-ups’ help convert your boards into living applications, providing all the extra features you need for your specific projects. Knowledge Base – Trello provides an extensive Knowledge Base (see more knowledge base examples), providing information on everything a Trello user might need to know. Asana is a feature-rich project management solution that is ideal for overseeing large or intricate projects. Founded in 2008 by Facebook co-founder Dustin Moskovitz and ex-Google-and-Facebook engineer Justin Rosenstein, Asana launched commercially in 2012 and has been recently valued at $900 million. Asana is used by numerous big businesses including Google, Facebook, Tesco, Sky, Vodafone, The New York Times, Harvard University, PayPal, Yelp, and many many more. Using this system, you can easily map out and track each step of a project, hit deadlines, and achieve goals. So whether your business is focused on sales, marketing, HR, design, engineering, or something else, Asana will help empower your teams, ensuring everyone knows what they are doing, why they are doing it, and importantly when they need to do it by. Project Views – Coordinate and manage work in the view that works best for your project and team. Choose from list, board, and calendar views to create and track projects from start to finish. Timelines – Use visual timelines so you can easily see and plan a project over an allotted time frame. Templates – Turn common processes into templates, saving you time on project and task setup. 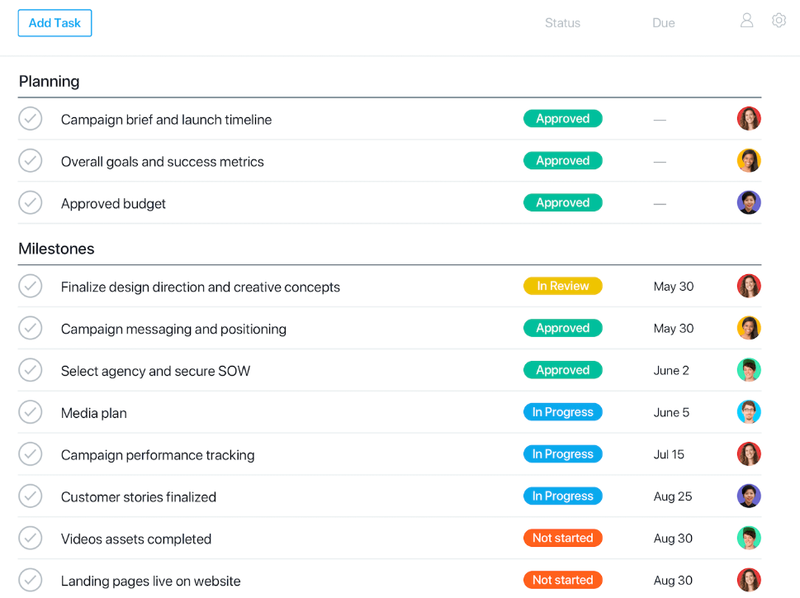 Progress Reports – Asana enables you to create reports on project data and other criteria, helping your team see how the project is progressing. Integrations – Choose from over 100 apps, and integrate as many as you need for each project for free. Privacy and Control – Make teams and projects private, designate admins to control your organization’s usage, and set security controls to keep information and data secure. Support – Asana Academy provides a wealth of support from webinars, online tutorials and guides, and interactive courses. The Asana Support Center and Asana Community can also help with any problems or issues that arise. Asana Apps – Asana syncs with all devices, including iPad, iPhone, and Android. Trello is made up of three main aspects that ensure smooth workflow. Boards – On the whole, organizations create a new board for each new project. Each board then holds all the tasks that make up that particular project, and provides an overview of how the project is progressing. Colleagues can be invited to boards, and if they are working on more than one project, they can easily switch between boards in the Trello dashboard. Lists – Most boards will consist of multiple lists. These are essentially categories, and are represented as columns, that map each stage of the process that a task (card) has to pass through. All cards will start in a list (column) on the left hand of the screen, and as they progress in development, they will move through the lists until they reach completion, usually ending up in the furthest list on the right-hand side of the screen. Cards – As you have probably worked out, the cards represent individual tasks that make up a project. It is within each card where most of the collaboration between colleagues will take part. (We will cover this in more detail in a moment). Cards can be dragged and dropped between each list to show their progression. Power-ups – You can add extra functionality with Trello power-ups (integrations). However, unless you upgrade to a premium Trello plan you will only be allowed to integrate one application per board. The visibility that Trello provides of your workflow, and the ease of the drag-and-drop format, makes Trello extremely user-friendly and immediately appeals to many. But collaboration is key to any well-managed project – how does Trello lend itself to this crucial element? It is within each card where most collaboration between team members will take place. Each card has a number of features to ensure fluent communication and help keep all task information in a centralized location. Add members to a card, involving them in the task. Have ongoing discussions within the card, replying to comments and questions. Tag members in a discussion to get their thoughts on a topic. Color label cards so colleagues can understand the card type or importance from a quick glance. Add attachments so members have all the information they need to complete a task immediately to hand. If a task involves multiple steps, add a checklist so members can see how the job is progressing. Display a due date, so it is clear to all when the job needs to be completed. All of these card features enable team members to easily understand a job, and work in sync to ensure it is finished to the highest standard and within the quickest time frame. Trello also allows you to create Teams. These are separate to boards and act as central areas where people can keep up to date with their team’s activities, and keep track of upcoming due dates, mentions, and tasks. Notifications are also sent when important events happen on Trello, ensuring no one misses any crucial communication. Dashboard – The Asana dashboard gives you an overview of projects, teams, conversations and more. Lists – This is the default option for creating and viewing each job, and step, of a project. Here you can see your project broken up into individual tasks. You can also create sections, to help organize tasks into groups. Tasks – Add tasks to break a project into actionable steps. You can assign tasks to teammates, add task descriptions, due dates, and much more. Tasks can then be marked as complete once finished. Calendar and Timeline – These are two separate features that you can use to manage and view tasks. Both help create understanding and flexibility within projects, and ensure that deadlines are met. Progress and Reports – Check out how individual tasks are progressing, and view metrics for whole projects, by simply clicking on either of these tools. As you can see, Asana offers much in the way of task management, and once you get used to its systems, this solution will greatly increase the organization and speed of a project. Importantly, Asana also provides free integration with over 100 apps, enabling you to customize this solution for each project’s individual needs. Inbox – Asana has its own email system, enabling members to receive internal emails from others in their teams and discuss work without ever having to leave the platform. Conversations – Have project conversations about your work, that can be easily accessed within the Asana dashboard. Tasks – Within a task you can add team members as followers so they can follow discussions, give opinions, or answer questions. They will also receive updates when comments are made. Asana provides different opportunities and situations within its platform for its members to discuss work and stay in constant contact. This not only helps teams work smarter and faster, it also positively impacts on the end results of projects. The downside to Trello is that as teams and task numbers grow, the screen can become cluttered, tasks harder to find with a glimpse of an eye, and conversations less easy to track. However, for smaller teams and projects that aren’t full of intricate and overlapping tasks, Trello is an ideal solution. Asana provides a much wider range of advanced features in comparison to Trello. Providing numerous ways to structure and organize projects, alongside some extremely useful collaboration tools, and the ability to track projects and tasks, Asana has shown itself to be a powerful project management tool. It is true that Asana isn’t as intuitive to use, and definitely misses the fun visuals that are the main focus of Trello boards. However, if you want a serious product that empowers teams to produce great results, then Asana is for you. Perfect for big business, complex tasks, and overseeing teams consisting of multiple colleagues, this platform has the tools and functionality to cater for any project management need. Trello provides an impressive free plan. Create an unlimited number of boards, lists, cards, and checklists. Invite an unlimited number of members to join your boards, and upload up to 10 MB of files, or link from any file from Google Drive, Dropbox, or OneDrive. The only downside is that you are only allowed one power-up per board. The premium plans do provide a number of advanced features. These include unlimited power-ups, extra support and security features, and much more. However, unless you have a specific need for these extra premium tools, Trello is totally usable on the free plan. Asana also provides free and premium plans. The free plan offers unlimited projects, tasks, conversations, and integrations. However, you can only add up to 15 team members on the free plan, which makes upgrading a necessity for many. The premium Asana plans offer the majority of the features that big businesses and large projects need. These include no team member limit, unlimited dashboards, timelines, advanced search and reporting, priority support, and much more. 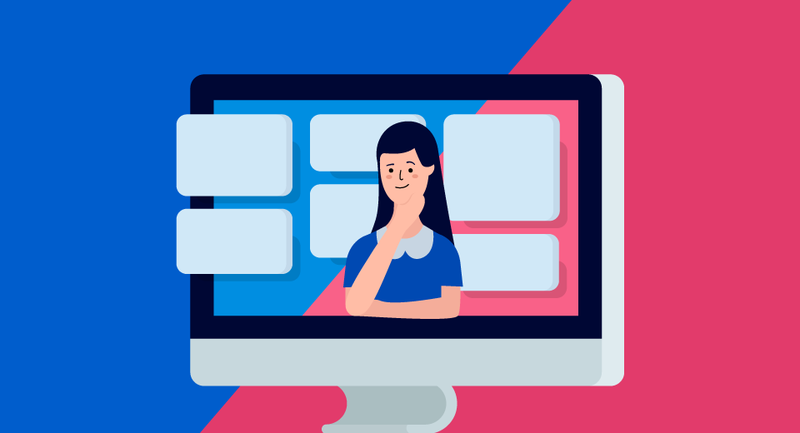 Therefore, if you want a powerful project management tool, that contains the features and functionality we have discussed in this article, you will need to upgrade to Asana Premium. The free Trello plan incorporates so many of this platforms key features, for most users upgrading to a premium plan is be necessary. In contrast, Asana offers its most useful and powerful features at premium level. This makes it nearly impossible for users to not upgrade. Therefore, if you are looking for a free project management platform, Trello will provide all the necessary tools. However, if your projects and teams need the advanced features Asana offers, then you should consider signing up to Asana Premium. Knowledge Base – Trello provides numerous articles and tutorials to help with every area of Trello set up and usage. Trello Community – Engage with the Trello community, browse the Trello forums, ask a question or join discussions. Contact Support – If you have a problem that you can’t solve, you can send a Trello Expert a message. These experts, however, are not employees of Trello, but are in fact helpful members of the Trello community. Only by upgrading to a premium plan, can you then receive Trello email and phone support. Asana Guide – Help onboard your team and use Asana to its full potential with these well targeted and extensive guides, articles, and how-to tutorials. Asana Academy – Access Asana training via webinars and online courses delivered by the Asana Customer Success team. Community – Join Asana’s large community of experts, ask questions, and get answers. Customer Success Team – As with Trello, you will need to sign up to a premium Asana plan to access priority one-to-one support from the Customer Success team. Evidently, Asana provides a more thorough support system. However, this is most likely due to need – with more advanced features, more advanced support is necessary. Whilst Trello’s support is not so in-depth, it definitely serves a purpose, and is enough for the service it provides. Both Trello and Asana are effective tools that will make a real difference to how your projects are managed, and their final outcome. The platform you choose will very much depend on the needs of your organization, project, and team. Hopefully, you should now have a good idea of which solution best fits your needs.